has been bombarded with public feedback since plans were announced to cut more than 100 south east Queensland bus routes, as part of the new GoNetwork. Of particular public concern has been Translink's plans to cut services to areas with amenities such as hospitals. 1,000 ‘likes’ and was set up in opposition to high fare levels – is one of several forums disgruntled commuters have embraced to vent frustrations with the proposed service cuts. A post on the page today points to problems with the consultation process, and mobility challenges elderly citizens might face if some services are cut. "They've got big issues with the consultation process for these bus route cuts," the page administration says. "So do we. We think it's been shambolic and an insult to the people of SEQ." Another Facebook page named Save the 411 Bus has been set up to save the service from St Lucia to the City via Hawken Drive and Gailey Road, while a separate Facebook page named Save Toowong buses 470 and 416 has also been established. Together, both pages have almost 1,000 ‘likes’, and the Save Toowong buses 470 and 416 page administration announced today it has a petition with 500 signatures in favour of saving the 470 and 416 services. the 411, 470 and 416 services. Emerson says planners are also looking into ways to retain services such as those to Greenslopes Hospital. 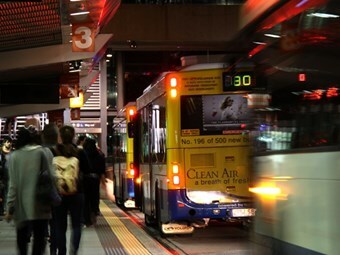 The south east Queensland bus services review was commissioned in 2012 after figures showed patronage dropped to potentially unstainable levels. annual 15 percent rise for bus, rail and ferry fares as the main cause of declining patronage. The Newman Liberal National Party (LNP) government subsequently halved Labor’s annual fare rises to 7.5 percent, still well above the most recent annual CPI increase of about 2 percent. Emerson has admited half of Brisbane's Translink buses still carry less than seven passengers on services. The bus network review recommended increasing the number of high-frequency routes in Brisbane from 19 to 26, which Emerson says will bring Brisbane’s network into line with leading world cities. During the first two rounds of consultation the department received more than 6,000 pieces of feedback. recently extended to April 7. Submissions can be made online at www.translink.com.au or by phoning 13 12 30.